66 Square Feet (Plus): LIC Market - hello, Queens! I'd be in real trouble if we lived around the corner from LIC Market like my friend Bonbon does. As it is, we are house hobbits and cook at home most nights. But the commute from Harlem to LIC Market's Court Street stop in Queens is pretty painless (according to CityMapper I burned a mere 37 calories in the process). The 7 train from Grand Central dropped me just a long block away. 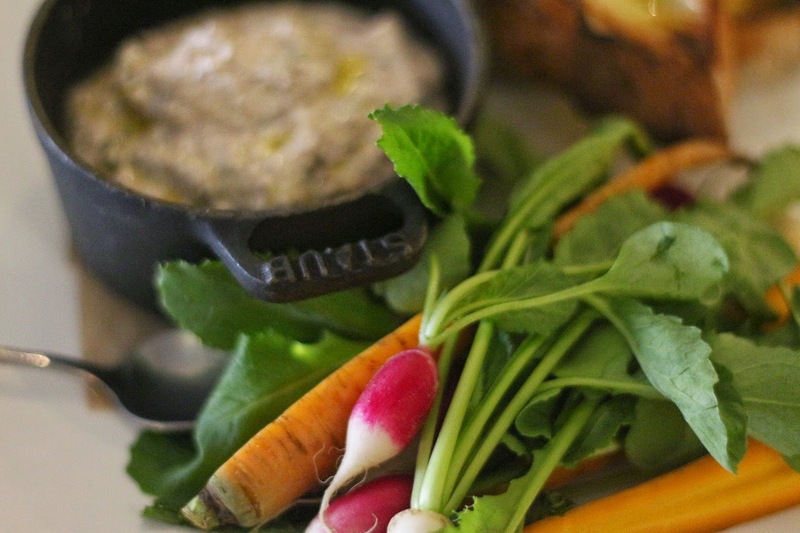 This beautiful olive paste is a meal in itself. Bonbon and I dipped into it at the bar, where I was offered the nicest Italian Chardonnay (unwooded) I think I've ever drunk: Di Noutro, very few cases produced. The wine list itself is a story. 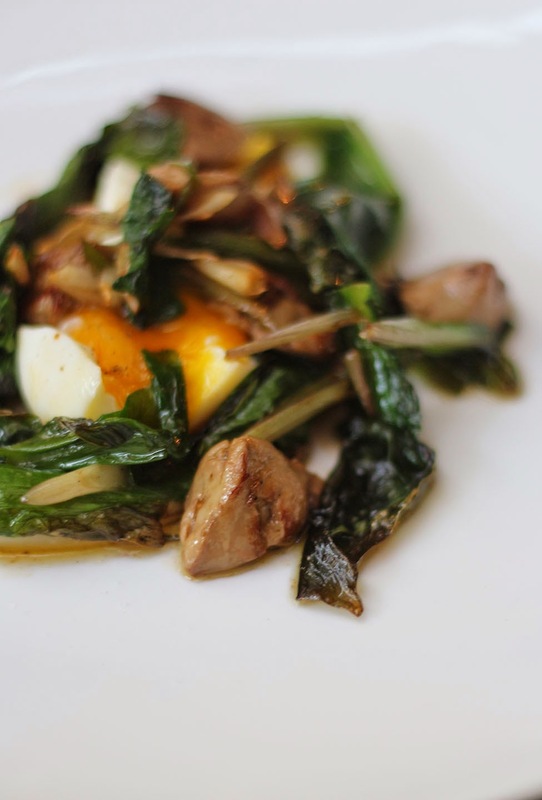 My first ramp of the season, with morsels of Hudson Valley foie gras and a yellow egg. Soft on soft on soft. There was also a bowl of nettle broth and young asparagus. Be still, my wild foods heart. And a wonderful risotto with fiddleheads, apple and Taleggio. 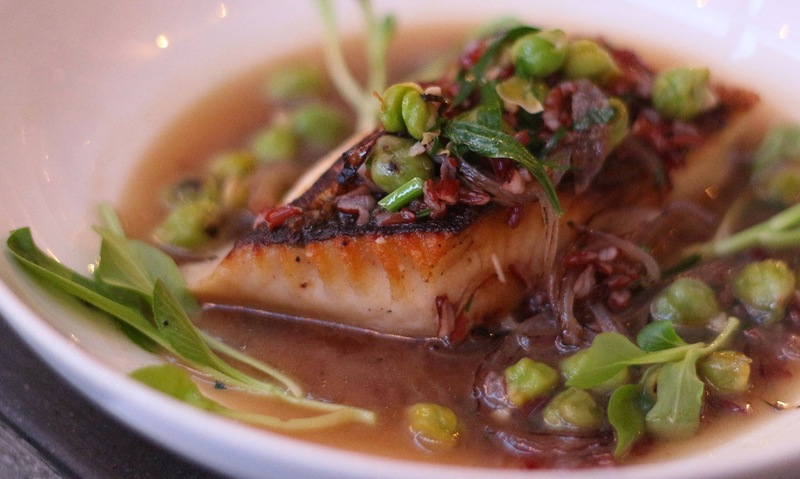 To end, a very delicate dish of black cod with green chickpeas in a bonito broth. 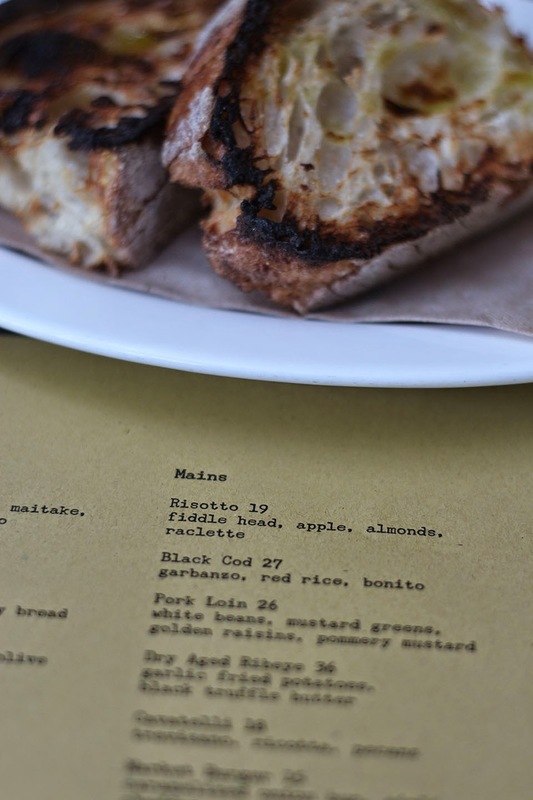 The lunch menu is quite different from dinner's, kind of like Prune's, back in the day (but with far more seasonal influence), when they still served lunch - with super-friendly prices to match. And a happy hour from 3.30pm - 6.30pm with excellent wine prices and snacks to match. And: service. It can kill a place for me. 'Frinstance, I love the food at Vinegar Hill House but I'd rather not go there because I feel I'm an annoying interruption in the social life of my server. At LIC Market the service is impeccable. And that is quite rare. Old school French attention to detail underpinned with laid back friendliness to soften the corners. We'll be back with friends, soon. It was an exciting foray back into the world of Other Peoples' Food. I want to lick the screen. It all looks wonderful! Wow. And your photos do make it as delectable as it tasted.